Another ‘blast from the past’. Published by New Worlds Unlimited in 1976. The title of the anthology was, and still is, Reflections of the Inward Silence. They could pick good titles. Here is another poem from my past. It was published by New Worlds Unlimited out of Saddle Brook, New Jersey in their anthology entitled, Shadows of the Elusive Dreams, in 1975. I must tell you, although the urge is great, none of these poems have been altered after publication. As every writer knows, a work is never done, but you have to walk away. Soon your reluctance will change; I hope. 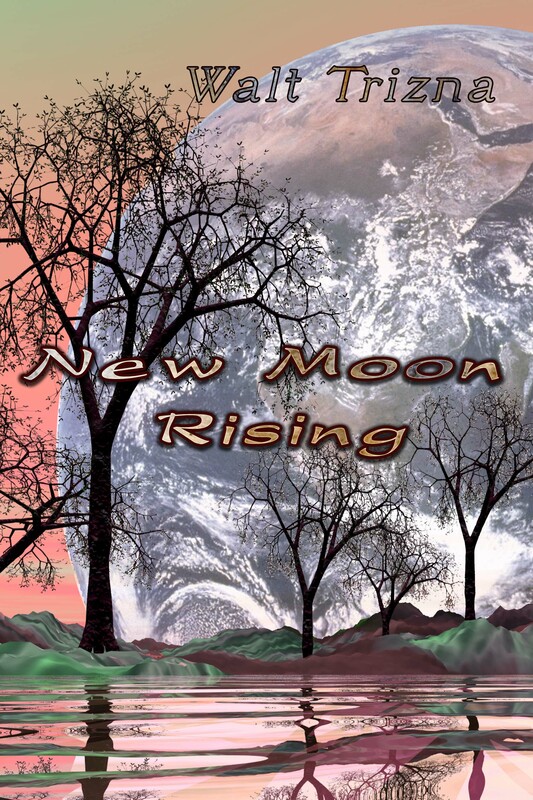 My novel, New Moon Rising, will appear early next year. It was selected for publication by Midnight Showcase which will soon morph into Mélange Books. I thought I’d share with you the book cover.